Abstract Research literature is replete with the importance of collaboration in schools, the lack of its implementation, the centrality of the role of the principal, and the existence of a gap between knowledge and practice—or a "Knowing-Doing Gap." In other words, there is a set of knowledge that principals must know in order to create a collaborative workplace environment for teachers. This study sought to describe what high school principals know about creating such a culture of collaboration. 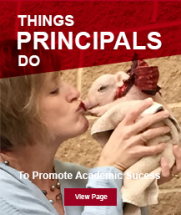 The researcher combed journal articles, studies and professional literature in order to identify what principals must know in order to create a culture of collaboration. The result was ten elements of principal knowledge: Staff involvement in important decisions, Charismatic leadership not being necessary for success, Effective elements of teacher teams, Administrator‘s modeling professional learning, The allocation of resources, Staff meetings focused on student learning, Elements of continuous improvement, and Principles of Adult Learning, Student Learning and Change. From these ten elements, the researcher developed a web-based survey intended to measure nine of those elements (Charismatic leadership was excluded). Principals of accredited high schools in the state of Nebraska were invited to participate in this survey, as high schools are well-known for the isolation that teachers experience—particularly as a result of departmentalization. The results indicate that principals have knowledge of eight of the nine measured elements. The one that they lacked an understanding of was Principles of Student Learning. Given these two findings of what principals do and do not know, the researcher recommends that professional organizations, intermediate service agencies and district-level support staff engage in systematic and systemic initiatives to increase the knowledge of principals in the element of lacking knowledge. Further, given that eight of the nine elements are understood by principals, it would be wise to examine reasons for the implementation gap (Knowing-Doing Gap) and how to overcome it.